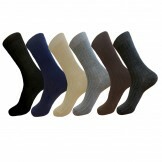 Men's Vannucci Small Feet Solid Cot..
12 pack Men's Small Size 5-8 Cotton..
12 pack small size 5-8 patterned co..
12 pr Small feet assorted cotton r..
4 pack small size 5-8 patterned cot..
8 PAIRS Small Feet Mens Shoe size 5..
12 Pack of 91% Cotton Crew Athletic.. 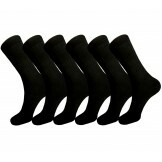 Size 6-12 Black Charcoal Gray cott..
6 Pack dry-max cushioned low-cut- n..
6pack Silicone Edge Cotton no- show..
6PK Mesh Ventilated Dry Fit Running.. 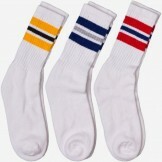 Pack of sz 5-9 White 3 stripe old s..
By now most of you have figured out that Men's standard socks are not one size fits all, specially if you are below size 8 or above size 13. Fortunately for the big and tall manufacturers have figured out the need. 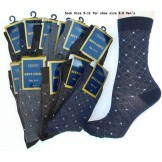 But when it gets to men with small feet there choices are more limited. 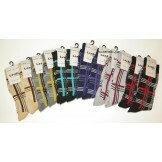 We have had to custom order most of the socks you see on this page. 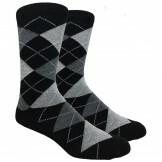 Most Men's socks start out at 9 to 10 inch and stretch out the rest and that is why if your feet are less than 9 inch long almost all socks are too big for you. 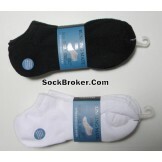 Here at sockbroker we measure all socks to make sure they meet our small feet standards. 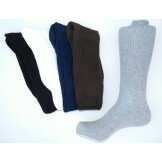 No sock is more than 6 inch long from heal to toe and some are less than that. 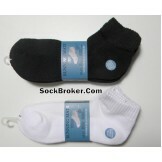 We also make the top 1 inch shorter to make the socks more proportional.